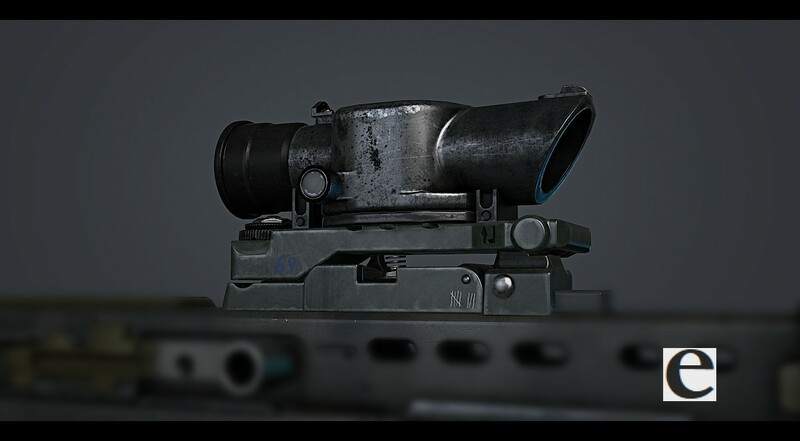 A 4X Scope, ideal for the sa80 series. Not for commercial purposes. Do not redistribute. Use for any non commercial purposes, provided credit is given. Created in blender, xnormal and gimp. Flip green channel for Max/Source. Euan Mitchell, "tigg", 2015. www.euanm.com 4199 triangles, 2048x3 textures. If your filetype of choice is not available, simply open the .blend and export it yourself. I'm not your mother. Incredible. You always do such great work! This thing looks sweet! I love the attention to detail, especially for a small object like this. Keep up the good work! Feel free to add me, I guess.